After two solid, muscular bluesy rock albums in "Bad Co." and "Straight Shooter", this is very much in the same vein, sticking firmly to the formula. 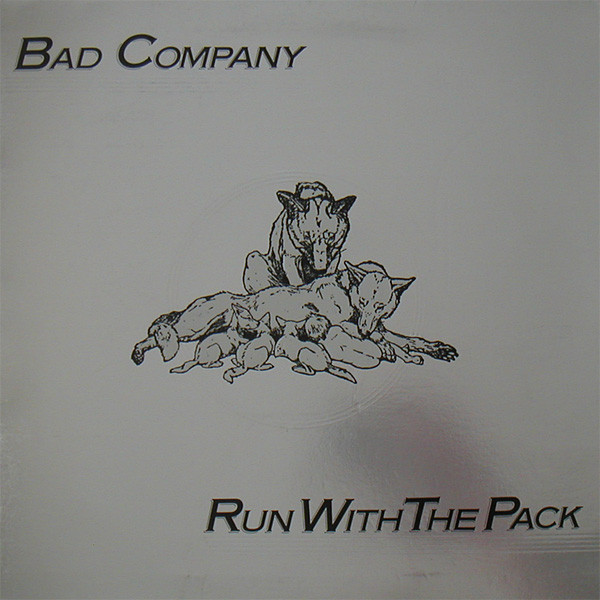 You knew what you are going to get from a Bad Company album by now - punchy drum, classic, chunky guitar riffs, rumbling bass and Paul Rodgers' classic blues rock voice. There is not too much in-depth analysis can be done on their albums. It is simply honest, heads-down seventies rock. 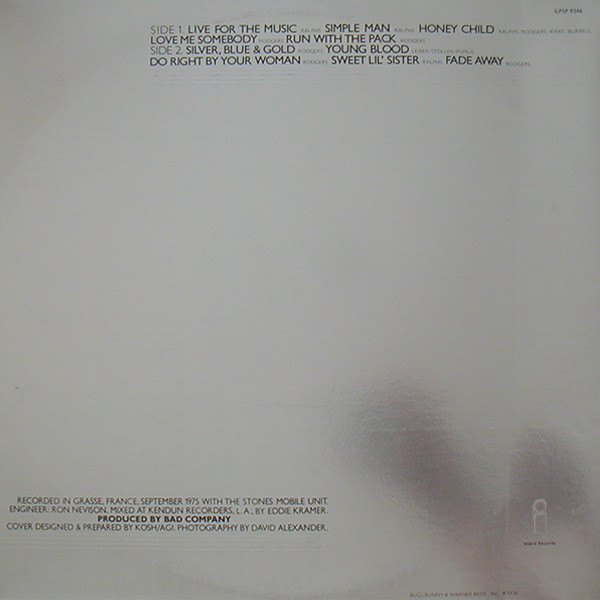 "Live For The Music" is arousing, stadium anthem-style opener and the blues rock ballad "Simple Man" is so Free-like, it could almost be Free. "Honey Child" recycles the riffage from "Can't Get Enough" but that doesn't worry me, it rocks, big time. If you like Bad Company doing this sort of thing, you can't far wrong with it. "Love Me Somebody" is a classic Bad Company/Rodgers ballad, with a solid piano backing. The piano returns, rocking this time, on the rousing title track. It has an extended, orchestrated string ending that is actually pretty superfluous. "Silver, Blue & Gold" is another piano-driven rocker, with slow-burning verses and a hook-laden chorus. "Young Blood" is an old Coasters cover from the fifties and is given the Bad Company swagger. It gets a bit cheesy in places, particularly the spoken "what's your name?" parts. It doesn't really work, to be honest. The typically seventies titled "Do Right By Your Woman" is not the best, lyrically and musically, is a bit of a "Feel Like Makin' Love" remake. It has a nice bass line though. "Sweet Lil' Sister" is an absolute copper-bottomed Bad Company riffy rocker. Just what you expect from them. "Fade Away" is a superb Rodgers vocal showing on one of those stately rock ballads he did so well. All perfectly enjoyable stuff, but with punk on its way, could Bad Company keep releasing albums that ploughed the same furrow? Unfortunately they tried doing just that and it duly never got any better than these first three albums for them. Enjoy them for what they are, though. Regarding the various remasterings, I much prefer the warmer, thumpier, bassier original "Swan Song" remastered CD release. The 2015 remaster is far too stark and tinny for my taste.